SO good. But very eye opening, moving, depressing and scary. Can't wait to see the movie. Being a woman in my mid 60's, I worry about this dreaded disease. My daughter-in-laws mother is in the beginning stages of Alzeheimer's and I can tell you - it is NOT pretty! My mother passed away 4 years ago. She was diagnosed with Alzheimers about 7-8 years before she passed. Her sister had it as well. This book provided me with so much information that I called my sister & had to share the story with her. I am in the midst of buying her a copy from HPB so I can send to her. My sister was my mother's main caregiver so I know she will have a hard time reading this book, but at the same time, hopefully get clarity. Also about the disease being hereditary, I would choose to get tested!! I read this book, then wanted to own it. Through Alibris I easily found a copy. The book is in perfect condition (which is called good condition). It seriously looks like a brand new book; no marks, bends, tears, etc. I continue to order from Alibirs even though I complain about the shipping. .99 cents for a book and 3 bucks for shipping really is a good deal for a book you want. 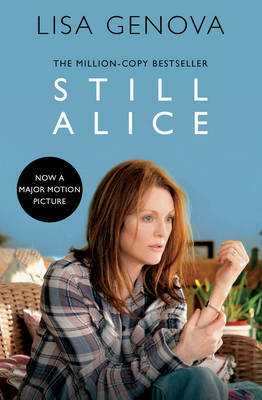 The story; Still Alice is one I strongly recommend. Anyone who has dealt with a person with memory issuess will treasure this book. I recommend it to all caregiverss and to children of aging parents. Good read for anyone. Written by the subject with understanding yet funny and touching.